I Kall Strong Screen Phone Combo of 3 (K31) is a compact and stylish entry-level phone that comes with a 4.57 cm display that offers quality experience, whether you are viewing a picture or a video. 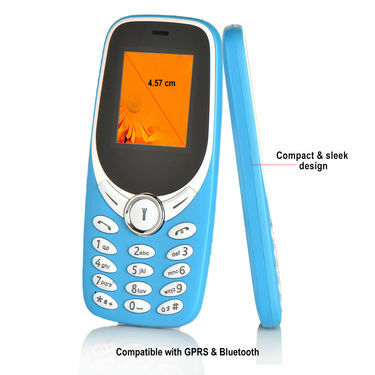 It has an alphanumeric keypad that makes dialing numbers or typing messages quick and easy. The FM radio with recording feature allows you to tune your favourite radio station. 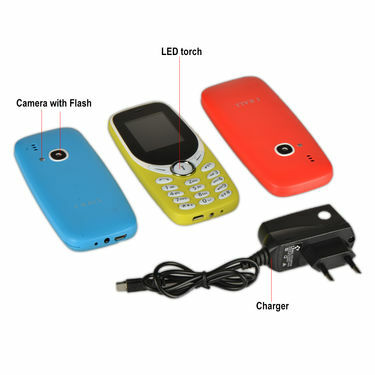 It has a music player that supports songs in MP3 & MP4 format. The phone has an expandable storage capacity of 8GB to store all your favorite pictures and songs. 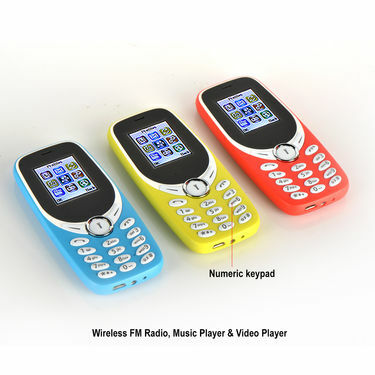 This dual SIM mobile phone has a Bluetooth connectivity option which lets you transfer songs or pictures to other devices without the hassle of any wires. I Kall Strong Screen Phone Combo ..VSI Kall K3310 Feature Phone Set of.. 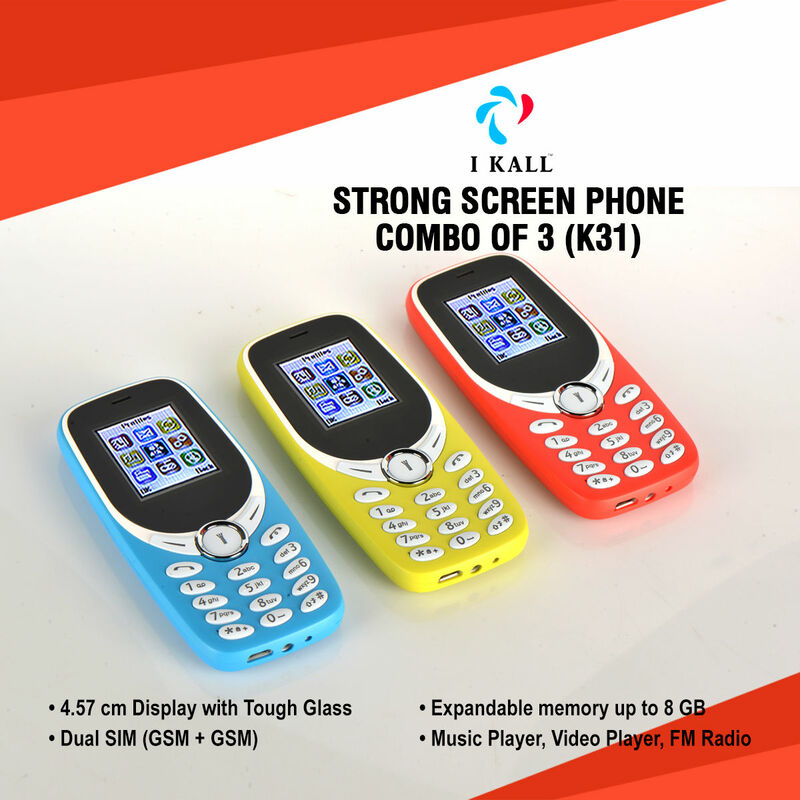 I Kall Strong Screen Phone Combo .. VS I Kall K3310 Feature Phone Set of..